Once you have planned your trip, it’s time to get down to the details. If you cannot decide whether to bring along a debit card or a sheaf of travelers checks, consider the pros and cons of the many ways you can pay for your travel. Cash is convenient. If you are traveling in your native country, you don’t need to find banks or ATMs. If you are visiting another country, you will probably pay less to exchange cash for the local currency than you would pay using a different kind of travel money. Cash is a security risk. It can be stolen and it cannot be replaced. Cash is awkward to carry. You will need to wear a money belt or pouch. If you are traveling abroad, you will need to visit banks to exchange your cash for local currency. A debit card, properly protected, cannot be stolen as easily as cash. As long as your debit card is part of a major network, such as Plus or Cirrus, you can use it in many countries. You can use your debit card at an ATM to automatically draw local currency. Conversion and transaction fees will apply. Using a debit card can help you stay within your budget because the card takes money from your checking account. Debit cards are small and easy to carry safely. Your debit card may not work in all ATM machines at your destination, so you will need to bring a backup debit or credit card. 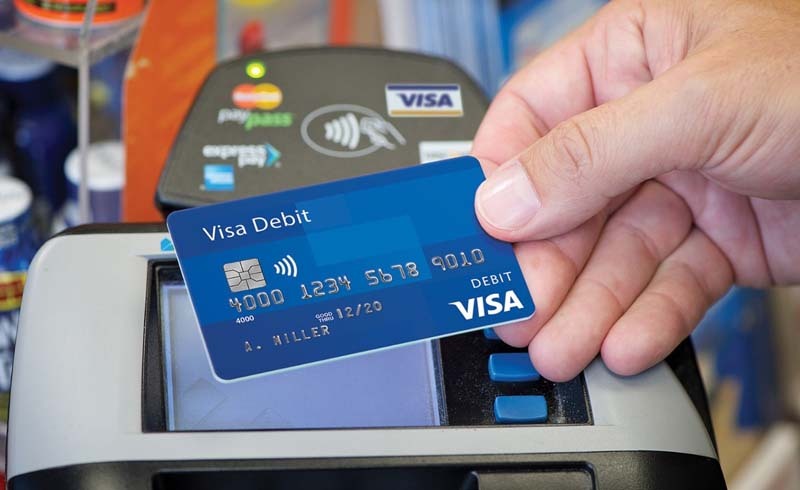 If you travel abroad, your debit card probably will not be accepted at stores or restaurants. Carry some cash for daily expenses. In rural areas, finding an ATM that is part of your network might be difficult. Plan ahead and withdraw enough cash to meet your needs until you return to a city or town. Using an ATM is not free unless you use your own bank’s machines. If you go outside of your bank’s network, you will be charged a fee to use a non-network ATM. When you use your debit card in a foreign bank’s ATM, you will be charged separate fees for using the machine and for converting funds into local currency. You will need to notify your bank that you will be using your debit card overseas. If you fail to do this, the bank’s anti-fraud department may suspend your debit card, making it impossible for you to get cash. You may need to change your PIN. In some countries, ATMs will not process PINs with more than four digits. In others, PINs with zeroes will not work. You cannot get a cash advance with your debit card. Bring an alternate form of travel money for emergencies. ATM scams abound. Educate yourself and learn to avoid them. Travelers checks are secure; they can be replaced if stolen and require a countersignature for use. You can buy travelers checks in some foreign currencies, including the Euro, British pound, Japanese yen and Canadian dollar. Travelers checks can be expensive to buy. You are normally assessed a service charge, and you will also pay a shipping charge if you order them online. Travelers checks can be uncomfortable to carry in a money pouch or belt. If you are traveling abroad, you will need to go to a bank or your issuing company’s office to exchange travelers checks for foreign currency. You will need to plan your itinerary around banking hours. Not all merchants or banks will accept travelers checks, even checks written in their local currency. Merchants may charge you a fee if you want to pay with travelers checks. Travelers checks are obsolete. Most travelers do not use them. Prepaid travel cards, such as Visa TravelMoney, look like credit cards but function more like travelers checks. You “load” the card with money from your bank account. You use it like a debit card at ATMs and like a credit card at merchants and hotels. You can replace a lost or stolen prepaid travel card like you would a travelers check. Travel cards are convenient to carry. Each travel card has a PIN for extra security. Travel cards are a secure alternative for people who lack bank accounts or credit cards. You will pay high fees to activate and load your card. Fees for foreign currency transactions are extremely high. Under some conditions, the fees can be as much as 7% of your total transaction. Travel cards can be difficult to use abroad, especially at foreign banks’ ATM machines. Credit cards are easy to carry. You can replace your credit card if it is lost or stolen. You can reserve your hotel and rental car on your credit card and your reservation will be guaranteed. MasterCard and Visa are accepted at many places around the world. You can get cash advances from ATM machines, for a fee. Unscrupulous merchants can steal your credit card information. You can dispute fraudulent charges and get them removed from your account, but this process is long and annoying. You may need to cancel your card to resolve fraud issues..
Credit cards may not be accepted at your hotels and restaurants, so you will need to carry cash for some purchases and for emergencies. Banks add service fees for foreign currency transactions. Find out what your bank charges before deciding to use your credit card overseas. As with any credit card transaction, you will pay interest on your travel purchases unless you pay your balance in full each month. You will need to notify bank of your plans to travel to another country before you travel. Many travelers choose a combination of travel money options. Before you decide which combination will work best for you, call your bank to ask about transaction fees and currency conversion charges. If your bank’s fees are high, consider getting a new credit or debit card for your trip. 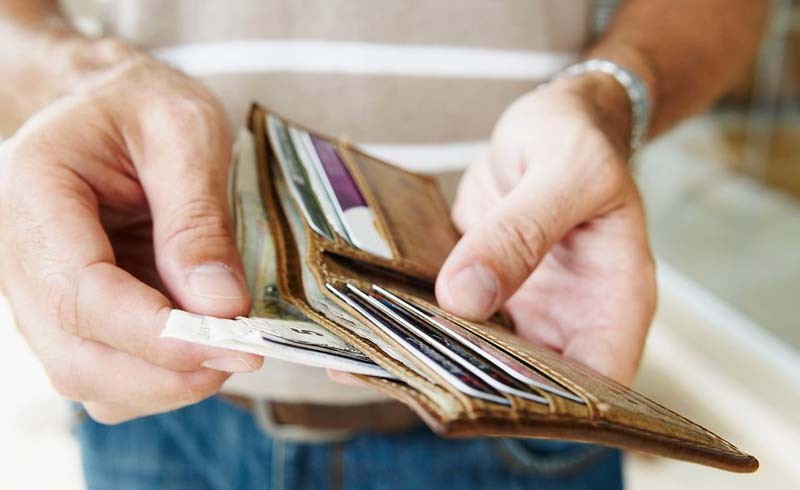 U.S. Daily News: Which Travel Money Should You Use?